I am fully ashamed of myself. I feel like I should be apologetic and embarrassed. 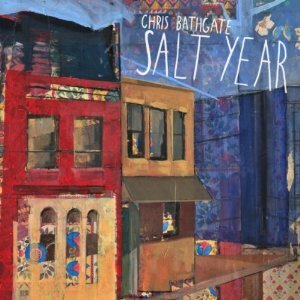 I’m just now listening to Chris Bathgate’s Salt Year. While the album certainly deserves a full on write up, a mess of run-ons and synonyms, gushings and praiseful ramblings, I’ll leave it at this. If you have not yet listened to / purchased Bathgate’s latest effort, you should do it. Learn from my example, that of a lady who slept on this despite the urgings of her favorite writers and fellow lovers of spectacular jams, and remedy the fact that you’ve not yet procured this album. The odds of this inching it’s way onto Folk Hive Best of ’11 list are so incredibly high.